Montreal, August 31, 2015. I am happy to announce that my work is part of this year's Fleck Fine Art fall/winter catalogue in the independant artists section. The Fleck Fine Art Catalogue offers a selection of artists represented by the Elaine Fleck Gallery in Toronto as well as a carefully curated selection of independant artists. This is the 7th year (13th issue) of this collectable fine art catalogue and artists featured in the magazine wil also be part of a two week group exhibition during this years Nuit Blanche, more information about this later. Montreal, August 17, 2015. On September 12-13 Denise Buisman Pilger will be in Toronto to participate in the Queen West Art Crawl, an art festival that celebrates the art, culture, and diversity of Toronto’s Queen West. This awesome art festival will be held at the Trinity Bellwoods park where you can find me in booth F12 from 11am-6pm on both days. Montreal, June 26, 2015. From July 1st to 4th 2015 Denise Buisman Pilger will be exhibiting her work at Artfest Kingston. The festival will be held in City Park from 10am to 6pm daily, you can find Denise at booth Orange 58 (see map). The festival will be free to attend, no tickets are required. Montreal, June 8, 2015. On June 20th and 21st 2015 Denise Buisman Pilger will be exhibiting her work at The New Art Festival in Ottawa. The festival will be held in Central Park, The Glebe from 10am - 5pm on both days, you can find Denise in booth 32 (see map). The festival will be free to attend, no tickets are required. 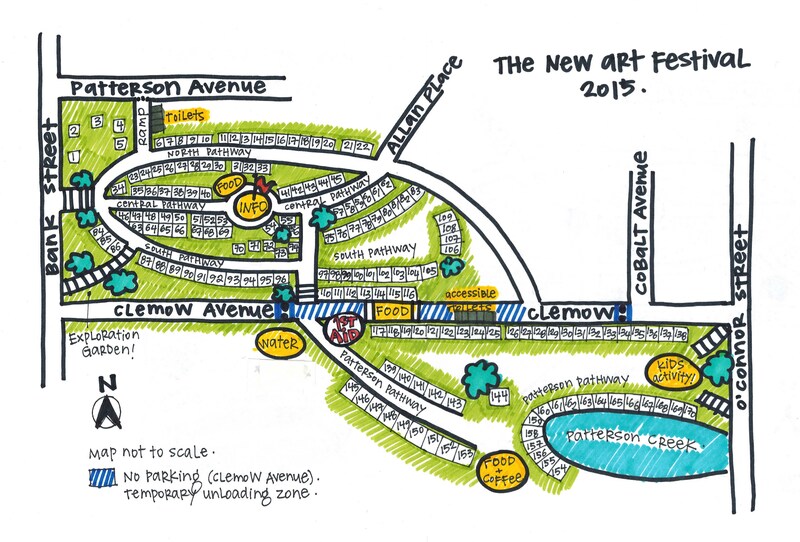 The New Art Festival (TNAF) is Ottawa's largest non-commercial outdoor art festival. Featuring nearly 200 visual artists working in a wide range of styles and media, this annual event draws thousands of visitors and participants from across Canada and around the world. TNAF is a non-commercial event. They do not include any mass-produced goods, nor do they have any representation from large chains or corporations. We are a low carbon footprint event and feature food providers from the community. All of the artwork and food at TNAF are the direct result of the artists and artisans who are featured at our festival. The organizers do not take any percentage of the artists’ sales. Originally conceived by Bhat Boy as an event to provide opportunities for up and coming artists, this important festival is truly unique. To honour our art community and all its hard-working artists and craftspeople, the event is juried. View the everyday urban landscape through the eyes of an artist. Montréal, April 28, 2015. 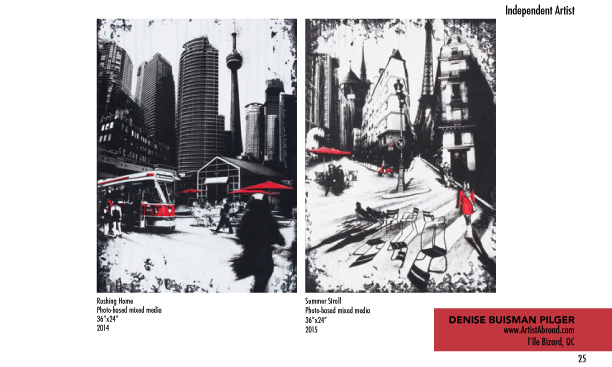 Montréal based Dutch artist Denise Buisman Pilger offers a unique view of the mundane urban landscape in 'Viewfinder', a 2 week solo exhibition at Viva Vida Art Gallery (278-2 Lakeshore Road, Pointe Claire.) This exhibition features the artists' most recent works, in which she explores forgotten and ignored urban elements combined with extraordinary sprawling cityscapes. The exhibition runs from May 29 to June 11, with a vernissage on Friday, May 29, 7pm – 10pm. As a frequent traveler, Denise Buisman Pilger, continues to be inspired by the urban landscape and, in particular, the small everyday items that that we pass by everyday without noticing. “I am fascinated by things like fire hydrants and pay phones, we pass them every day on the street but we never really take the time to 'look' at them, I like to take those 'forgotten' items and put them center stage” says the artist about her most recent body of work. Viva Vida Art Gallery 278-2 Lakeshore Road, Pointe-Claire, Quebec. 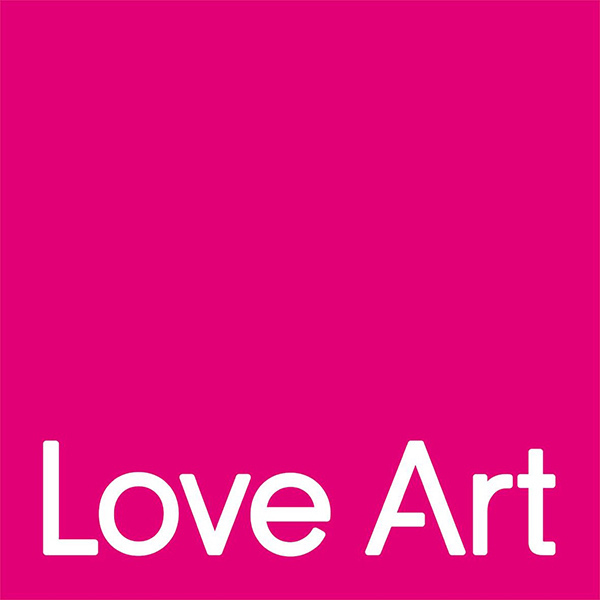 Viva Vida Art Gallery returns to Toronto for 'Love Art 2015'! Montréal, April 13, 2015. From April 17-19 Viva Vida Art Gallery will return to the Direct Energy Center in Toronto for Love Art 2015, presenting works by Denise Buisman Pilger, David Kelavey, Martine Legrand, Gordon Pym and Bev Wight. This awesome art event offers the opportunity to discovering incredible new artists, thousands of contemporary artworks, experiencing hands-on workshops, talks, and conversations with fellow art lovers. With over 45 galleries showcasing a fantastic array of affordable art, all priced between $100-$10,000, this spring edition is expected to be better than ever! Be the first to view the artwork, enjoy a drink by Gentleman Jack and experience a live performance by Opera Atelier. A late night art party for young collectors and the cultural taste-makers of tomorrow. Mingle, have a cocktail by Woodford Reserve, and enjoy! "LP Tango Project" a Live Music, Live Painting event plus Art exhibition. Old Mission Brewery Benefit and Artist Collective. Montreal, March 9, 2015. The LP Tango Project combines live music with live painting. Park’s new world music group features Canada’s musical laureates: on trumpet Ron Di Lauro, faculty of University of Montreal and McGill University; on Stand Up Bass Solon McDade, of the Juno award winning group the McDades; on Baby Grand Piano,rising star artist, Mcgill Music Alumni Andrew Boudreau; on percussion, internationally renowned Mark Wheaton on percussion; national award winning violinist, Lee Park. LP Tango Project combines elements of new tango music with traditional and contemporary painting with esteemed artists, Kevin Jenne and Alex Produkt. LP Tango Project Art Exhibit features Montreal's benchmark artists, Denise Buisman Pilger and Pazit Perez. Talents Karina Max-Brown, pop artist; Geena Glowicki, sketch artist, present favorite pieces. Arielle de Pinto, jewellery designer features her prized items at this exciting, vibrant, community event. 50% of ticket profits goes towards OLD MISSION BREWERY. First 60 to arrive get free sangria. “Exotic & Electrifying” ~ Chronicle Herald. ARTiculation 2015, a celebration of word and image in art.